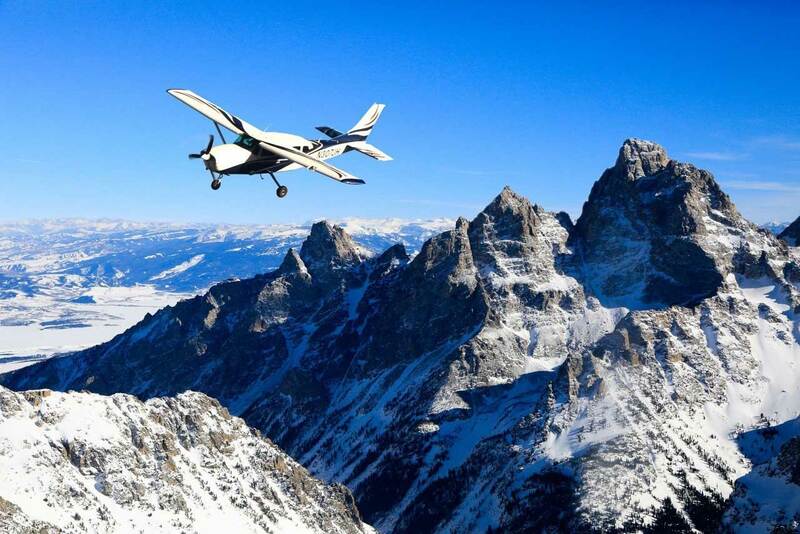 While experiencing Jackson Hole, nothing quite compares to seeing the breath-taking natural beauty from the sky. Soaring along the Tetons, you will escape into glittering alpine lakes, distant waterfalls and wild canyons for a truly Grand experience. 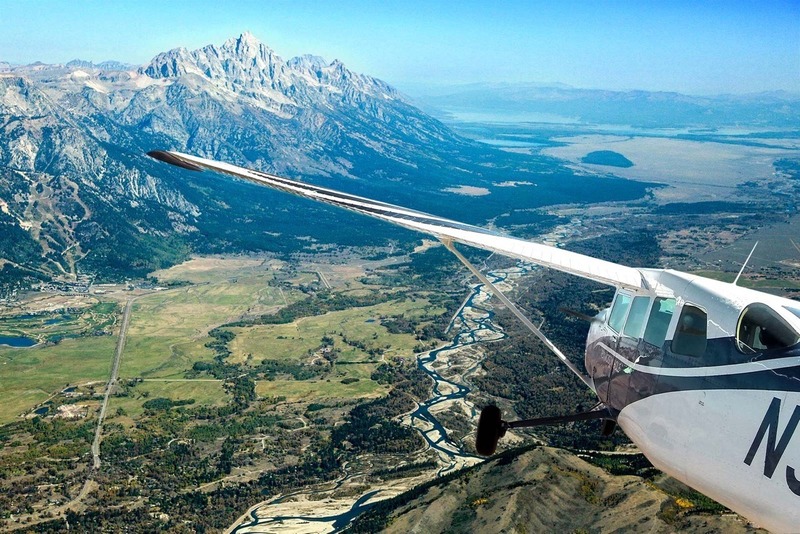 At Fly Jackson Hole, we give travelers the opportunity to tour the Teton range from above. 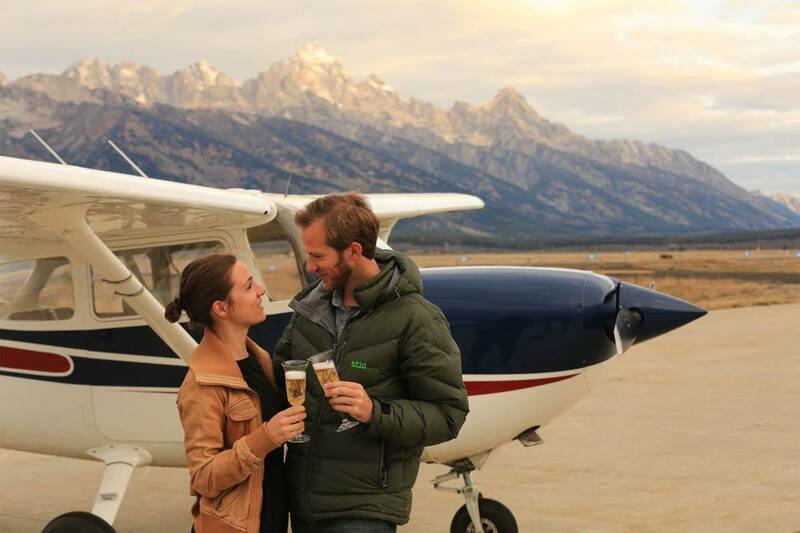 All in the comfort of our safe aircraft, with the convenience of departing from the Jackson Hole Airport. At our core we provide high quality scenic tours while practicing responsible tourism. 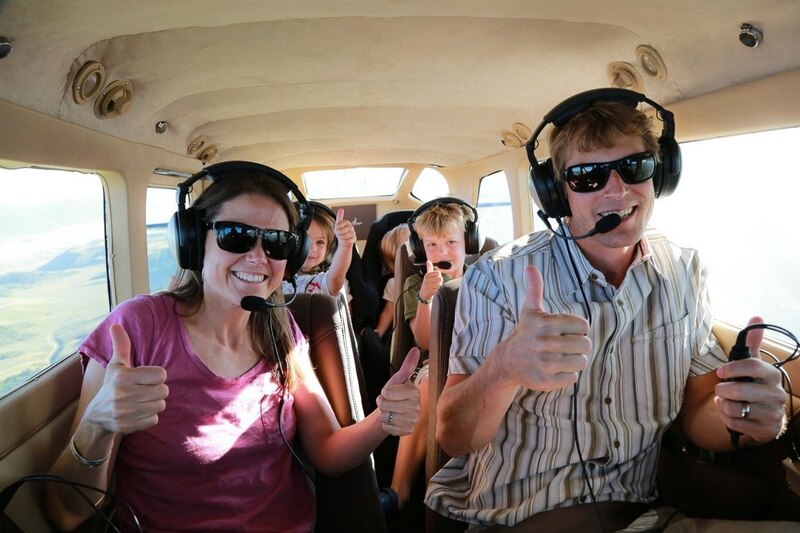 We provide a high quality flying experience while practicing responsible tourism. We offer tours from 8:30am to 5:00pm that are 60-90 minutes long throughout the day. Our tours are for families, friends, couples and more. Our planes can accomodate up to 7 passengers at a time. We offer commercial photographers and videographers a chance to capture the captivating and scenic aerials of the Greater Jackson Hole area. All photo and video flight in Grand Teton and Yellowstone national parks are conducted according to regulations and with proper permits from the controlling agency. For pricing in more info contactus@flyjacksonhole.com or give us a call at (844) 359-5499. We offer flight instruction to aspiring and current pilots looking for certifications, ratings, and mountain flying experience. Services available include ground and flight instruction, pre and post flight briefings, and preparation for knowledge and practical exams. We also offer recurrent training and provide biannual flight reviews. Learn to navigate in complex weather, mountainous terrain, work with air traffic control and master communications in Class D airspace. We offer aircraft rentals for students pursuing a license and to pilots that have received a “check out” by one of our pilots. Our Cessna R172K Hawk XP II is available for rent. We seek to enrich people’s lives by providing outstanding adventure experiences that are safe, fun, and comfortable. We personally encourage and actively support awareness, respect, and preservation of our natural ecosystems, wildlife, and surrounding National Parks.